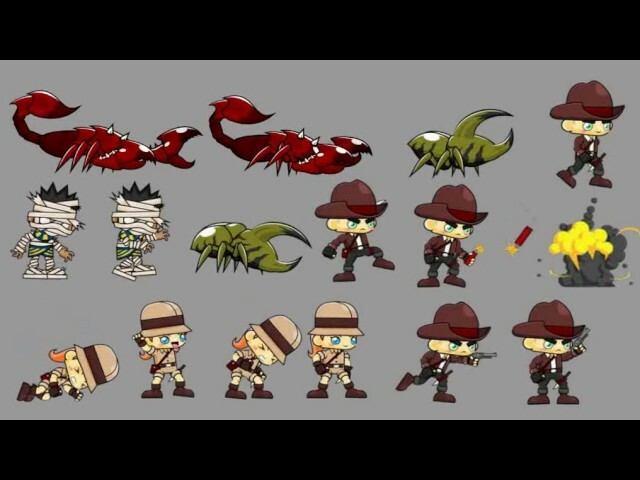 A collection of various character sprites for creating a 2D platformer or side-scroller game, especially games with adventure, pyramid, temple, jungle, forest, treasure hunter, tomb raider, animal hunter, or similar themes. — 2 heroes; 22 animation states, each in 10 frames. — 3 enemies: Scorpion, Beetle Bug, and Mummy. — Highly compatible with the Platformer Game Tileset series.